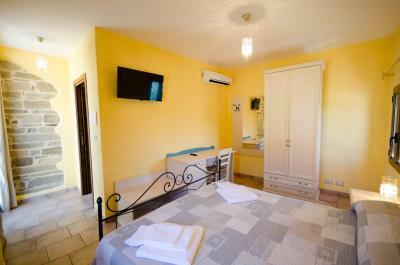 Lock in a great price for Il Borgo Ducale – rated 9.1 by recent guests! gorgeous spot on the top of this beautiful hilltown. Challenging to get from carpark to lodging, but totally worth it! Complimentary breakfast of pastry, yogurt, cereals juice, fruit and coffee was served in a nearby cafe. Breakfast would have been excellent if scrambled eggs were also offered, but the breakfast served was typical of most places in Europe. A very nice touch was the Nespresso machine with coffee pods in each guest room as well as cookies. Nicely appointed brand new room. Great bathroom, nice bed. Exterior deck. 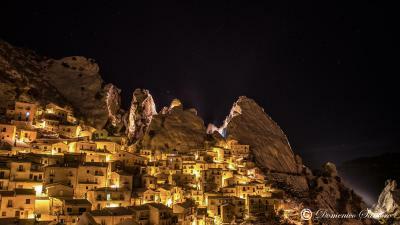 Amazing village!! Breathtaking views. 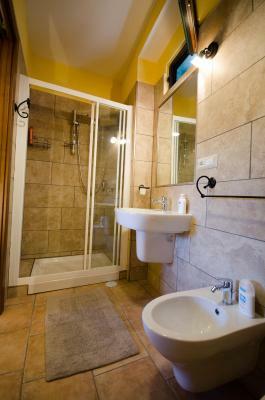 Very comfortable beautiful appartement well equiped and the bonus the Lavazza coffee machine! Fantastic host as well! Thank you Domenico we will definitely return and next time spend more time in this incredible village It is quite a walk from the parking to the appartment so I would suggest to pack a smaller case to cary up the mountain. Worth every step though. 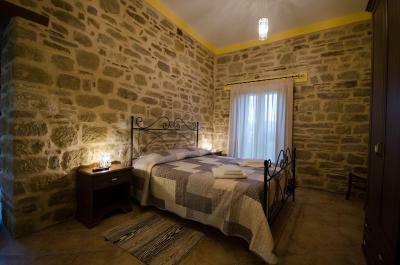 Great room in an old stone building, very cool atmosphere. Comfortable, clean, safe, and quiet. Checking in and getting information was super easy and convenient. 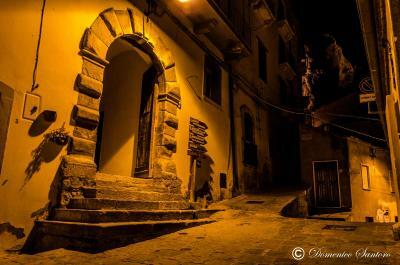 Castelmezzano is a beautiful town and it is easy to walk anywhere from the room. 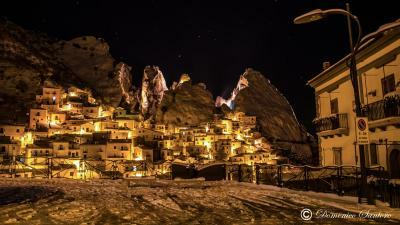 The village of Castelmezzano is fantastic. Our studio was in the middle of town. Nice cool quiet place. And a very good price. 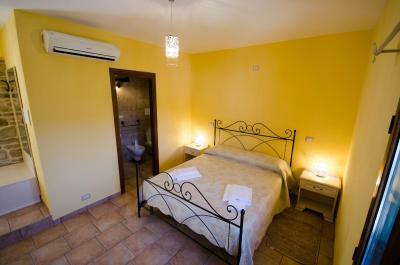 Gorgeous room, all brand new and clean, very comfortable. Incredibly kind and welcoming staff. 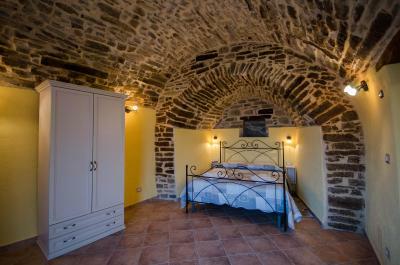 One of our top picks in Castelmezzano.Immersed in the Regional Park of Gallipoli Cognato Piccole Dolomiti, Il Borgo Ducale offers classic accommodations with views of the Dolomites of Lucania. 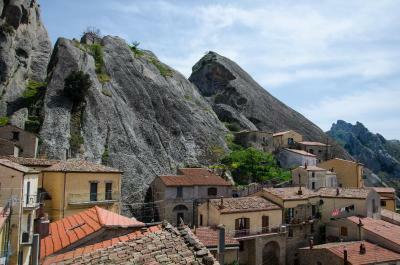 With views of Castelmezzano’s historical center, apartments and rooms are set in different locations in the town. 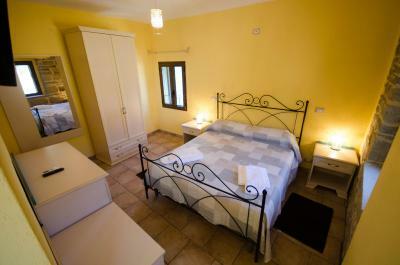 They feature free WiFi, and some units also have a kitchen or a kitchenette. The daily breakfast is served in a nearby café. 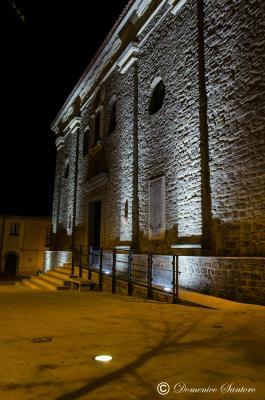 The Borgo Ducale is a 15-minute walk from the attraction Il Volo dell’Angelo, while The Grancia Historic Park and the Vaglio Basilicata Archaeological Ruins are 19 mi away. 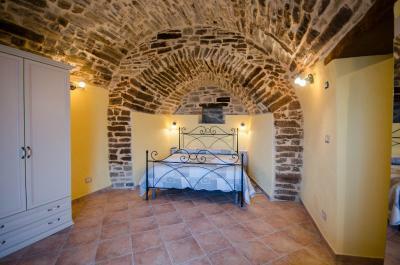 When would you like to stay at Il Borgo Ducale? 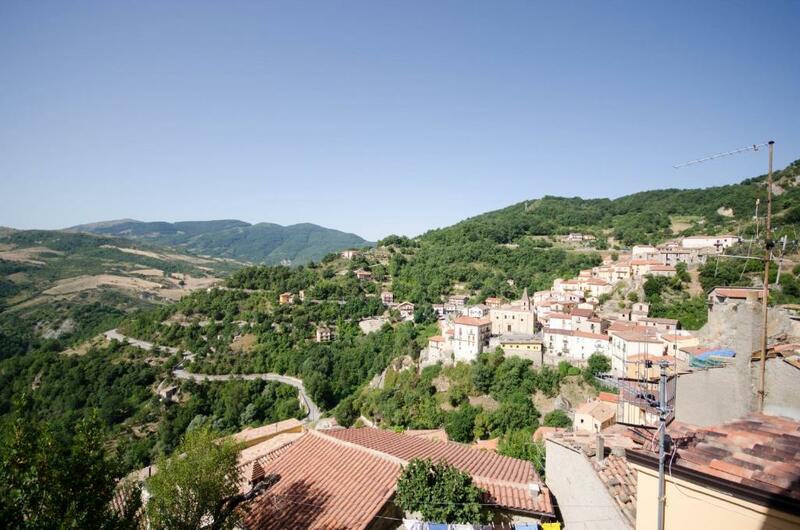 Featuring 2 balconies with views of the Dolomites of Lucania and the historical center, this apartment comes with free Wi-Fi, a fireplace, a flat-screen TV with DVD player and a fully equipped kitchenette with oven. 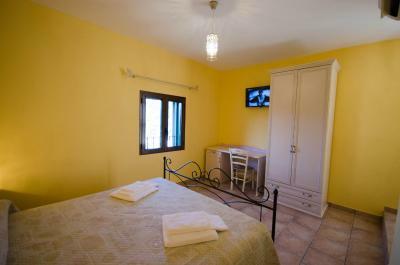 This studio is located in Vico Giacoria 1. Featuring a private entrance, free WiFi, and an original stone arch, this spacious studio comes with a fully equipped kitchenette, a dining area with an LCD TV, and a bathroom. Featuring mountain and city views, this twin/double room has a private entrance with a courtyard, a balcony and an private bathroom. It includes air conditioning, a flat-screen TV and a refrigerator. Please note that this unit is accessed via 70 small steps. Featuring mountain and city views, this apartment has a private entrance with a courtyard, a balcony and a seating area. 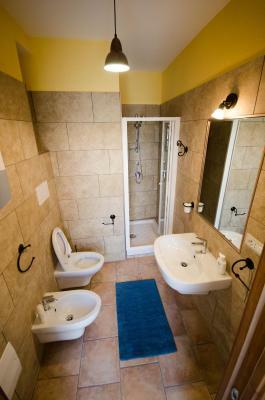 It includes air conditioning, a private bathroom and a kitchen equipped with kitchenware and a refrigerator. Featuring mountain and city views, this apartment has a private entrance with a courtyard and vaulted ceilings. It includes a a flat-screen TV and a kitchen equipped with kitchenware and a refrigerator. 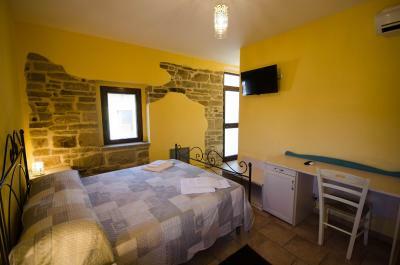 This double room features air conditioning, view and tile/marble floor. House Rules Il Borgo Ducale takes special requests – add in the next step! Il Borgo Ducale accepts these cards and reserves the right to temporarily hold an amount prior to arrival. Please note that the property is located in a limited traffic area. Guests arriving by car can leave it at the public parking, located 1,950 feet from the property. Please note, a porter service to bring your luggage is available upon request at an extra cost. Please note that extra beds or children's cots/cribs are subjects to availability. If needed they have to be requested at time of booking. 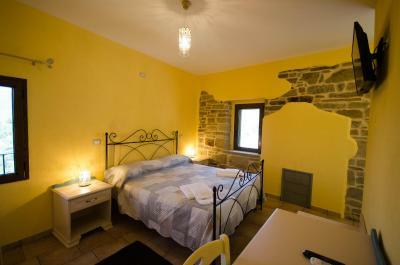 Please note that the accommodations is set in different locations in the historical center of Castelmezzano. Please inform Il Borgo Ducale of your expected arrival time in advance. You can use the Special Requests box when booking, or contact the property directly using the contact details in your confirmation. Please note that check-in and key collection take place at: Via Roma 75, Castelmezzano 85010. 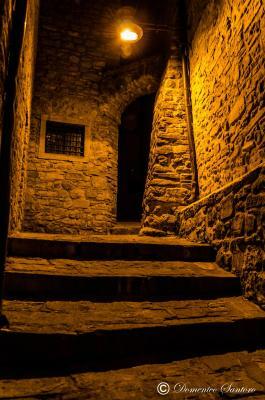 80 stairs to location without telling about it. The guy wanted an hour notice for arrival and helped only in up. Table with one chair only. No hot water for tea. Boiler made noise during night. Shower can not adapt the height. No cleaning each day !! View from the window. Hikes near by. The windows of the studio is high up so it feels like a basement. The kitchenette lacks basic cooking utensils like a bread knife or a spatula. Be ready for a lot of steps and some distance from your car to get there. But the view is worth it. The very warm hospitality of the host. He went to meet us at the paring lot and help us carrying our luggages uphill and even offer us the early breakfast when he knew that we were going to leave early. The room has a greatest view in town. Amazing location and view. The room is super clean and well decorated. I would totally recommend it! Minimal furnishings, Wifi didn't connect, breakfast was so-so. Comfy bed, good view and balconies; Michelangelo was a pleasant host. The apartment is located at the top of the village with outstanding views. We did not go down into the village for the breakfast which was included in the price as there was a very nice patio to sit out and take our own breakfast and take in the views. 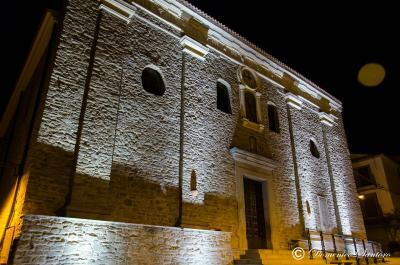 The village is very friendly and there was a local fiesta taking place which was very enjoyable. 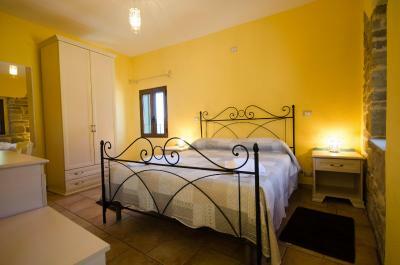 The bed was very comfortable and there was a juliet balcony in the bedroom to admire the views.